Please post questions about Hyder Seek 2018 here. Does anyone have a link to 48 plus routes ? (11-14-2018 08:06 PM)LSGiant Wrote: Does anyone have a link to 48 plus routes ? I do have the route we rode. I'll pm it to you. It's available to anyone that interested. I would also like a copy of the 48 plus route. Thank you. (11-21-2018 08:57 AM)Airdale Wrote: I would also like a copy of the 48 plus route. Thank you. 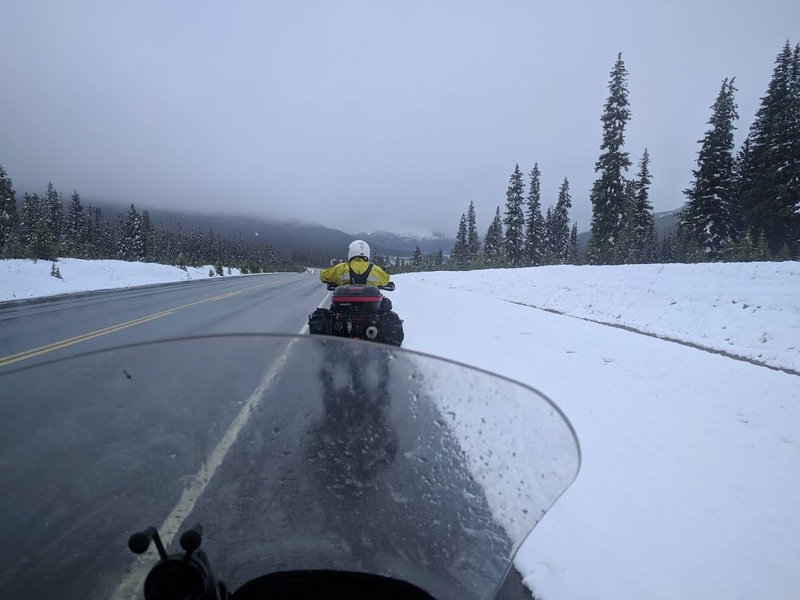 Will it be 74 degrees on the Ice Fields Parkway again in 2019? Will we be able to use the Sign Post Forest in Watsons Lake in the Grand Tour? Will you see bears and moose and elk and mountain goats along the road? P and I are planning to head north after the 48+ and go exploring. I'm in for the party! This has the makings of a great adventure. I don't know that I'm up for the 48 states part - maybe I need to explore some route possibilities first - but I am definitely interested in exploration of BC and AK! I'm going to have to go back to see what I missed. Joane and I are in. Frump sucked up all the bad weather last year. Hyderseek registrations are steadily coming in. If you haven't done so yet. Please consider, we'd enjoy having you participate.